Over my last few days in Nepal, I had come to realize that Mustang wasn’t a place everyone spoke about or, even better, went to. Nothing had prepared me for Mustang. 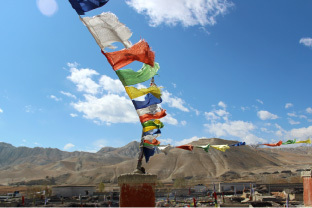 No European had been allowed to set foot in Mustang until 1952 and even after that, only a handful were let in until it was opened to very limited tourism in 1992. 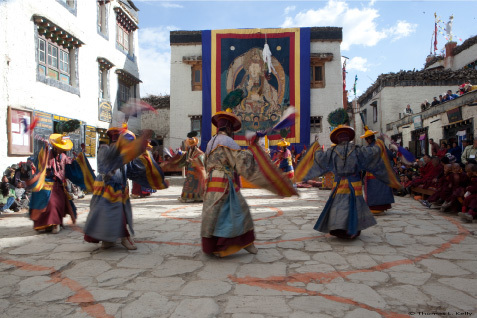 Now, it averages about six visitors a day who begin their journey with a five-day walk to its walled capital, Lo Manthang. So I was amongst the lucky few who could enter but would I be lucky enough to see the king? Wisely, no promises were made. 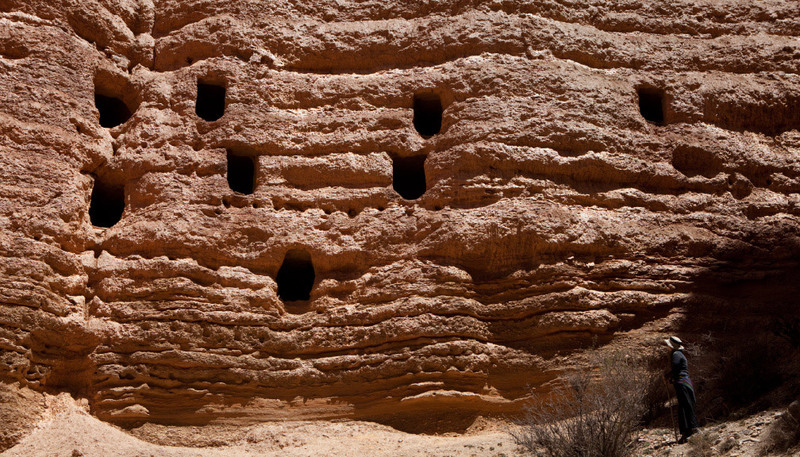 Mustang was a kingdom rich with things other than superstitions. The rulers were able to use their immense wealth to build fabulous monasteries and libraries filled with giant prayer books written in gold. They were patrons of the best Tibetan artists, reaching a peak in the 15th century before beginning a gentle decline in fortune. Today, Lo Manthang’s village may not be rich but it is still enchanted - Mustang horses on its arid landscape, hundreds of goats being herded through its narrow lanes, women sitting around spinning Tibetan aprons in its open courtyards. 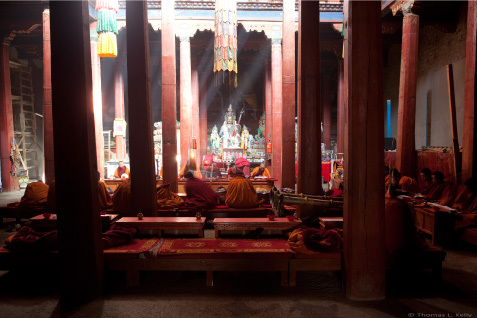 Lo Manthang’s oldest monastery, Jampa Gompa, is dominated by a three-storey high Buddha statue. I saw traditional Tibetan women touching up the Mandalas - abstract geometric paintings, used as meditation aids in Tibetan Buddhism - in a huge dark room, lit only by spotlights. They paint one tiny dot at a time over the crumbling, faded Mandalas which they have cleaned of 540 years of butter candle smoke. The boss of Lo Manthang’s restoration project, an Italian named Luigi, says that the paintings here are some of the finest in the world. We then proceeded to the trip’s biggest highlight - The Flying Caves of Nepal which are undoubtedly the Himalaya’s best kept secret. Intrepid explorers are busy trying to unravel thousands of holes that are carved into the fragile, sandy-coloured cliff in a gorge so large it dwarfs the Grand Canyon. I was privileged and humbled to be part of this mystery as I flew over caves that are 155-feet high and more than thousands of years old in a high-altitude, adrenalin-drenched helicopter ride.